“The difficult part is for a soul to live, day by day, in a dark world, absorbing the lessons which the outer life is intended to teach. Above all, we would ask you to cast out all fear. If you persevere with this one lesson for even just a few weeks, at the end of that time you will realise what a great step forward you have taken. Be without fear. Surrender to God. You will be filled with love and light; you will help the world forward towards peace and will help all those who are in darkness because they are full of fear – even your so-called enemies.” - White Eagle (channelled through Grace Cooke, The Light Bringer. The Ray of John and the Age of Intuition, The White Eagle Publishing Trust, Hants., U.K., 2001, p.82-83). Ask Saint-Germain ‘About Denying the Shadow Self’ by Alexandra Mahlimay and Dan Bennack (March 2011). One of our clients asked about the ‘shadow of blame’ that opposes her spiritual intentions. Her Soul purpose reading with Saint-Germain helped to put the matter into perspective. We hope you enjoy this portion of the reading, which is published with permission. Saint-Germain: Indeed, dear friend. 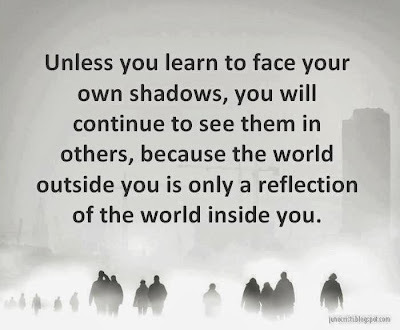 You are right about the fact that this shadow self is not who you are. There is nothing dark within you that is chasing you, or trying to keep you in fear and guilt. In Essence, you are not even ‘light,’ as many of you perceive this to be. 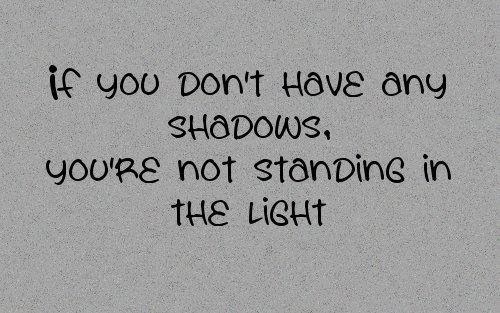 When you expect the light within you to oppose darker thoughts and feelings, you only legitimise the ‘dark’ - making it seem real and powerful, when it is not. Your real identity - your Divinity - is beyond duality. It is beyond light and dark, black or white. It's without positive or negative attributes, as human beings perceive this to be. But this attitude, or belief system, only succeeds in structuring a world of experiences in which there is something within or without them that must be attacked or destroyed. It creates a world of experiences that is structured around opposing forces - good and bad, pleasant and unpleasant, acceptable and unacceptable, etc. When you are preconditioned to view yourself and the world this way, how can you accept your Wholeness? How can you accept your incorruptible and perfectly Divine Self, or see this in another person? What you need to do now is give yourself permission to remember and experience the unified nature of your Divine Self. 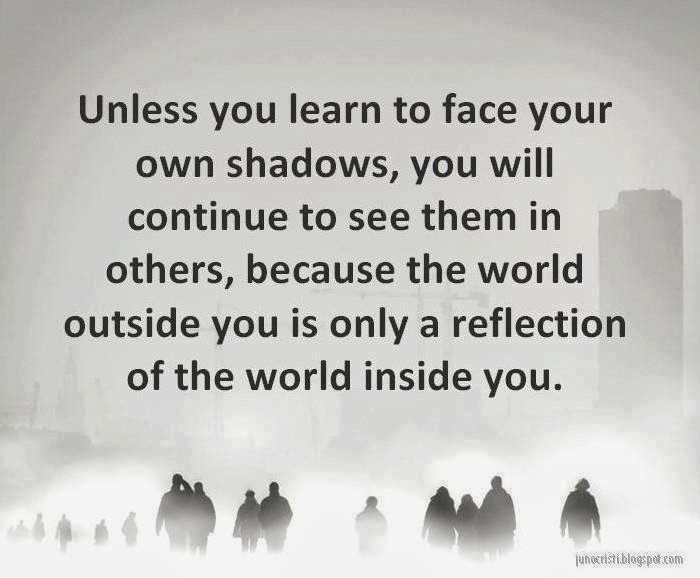 The fundamental being That You Are is beyond shadow and light. And because it judges nothing about you as being unacceptable or wrong, it exists beyond fear and guilt. When you tap into this current of Divine Awareness, you will notice it right away. You will begin to feel at peace with yourself. This calm may be unfamiliar at first, simply because the light and dark struggling within you have not allowed you to recognise it. As you finally accept that your Divinity is beyond all thoughts of right or wrong, or feelings of guilt and shame, then true peace will settle about you in all that you do, express, and feel. 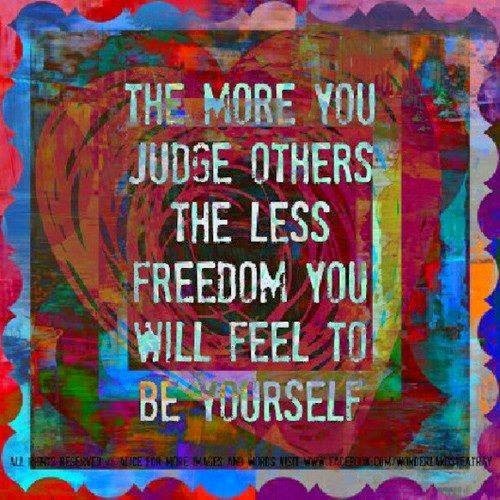 You will start to experience the peace of non-judgement and the truth of Self-acceptance. All is well, my friend. Take this bold step now, to remember your Divinity.